Andrew S. Erickson, “Raining Down: Assessing the Emergent ASBM Threat,” Jane’s Navy International, 16 March 2016. China’s development and deployment in small numbers of two dedicated operational anti-ship ballistic missile (ASBM) types – the DF-21D (CSS-5) and DF-26 – has attracted much attention in recent years. While some limitations in China’s reconnaissance/strike complex, along with evolving US and allied countermeasures, continue to render their operational effectiveness uncertain, they are clearly purpose-designed ASBMs of some potential capability. China is not the first nation to invest in ASBM development. In the early 1970s, the Soviet Union attempted to develop the world’s first ASBM, the R-27K (SS-NX-13), to be launched from a modified Project 629 ‘Golf’-class submarine. Despite the extensive Soviet constellation of Radar Ocean Reconnaissance Satellites (RORSATs) and Electronic intelligence Ocean Reconnaissance Satellites (EORSATs), however, this nuclear-armed system suffered severe target location problems, had a 370 m circular error probability (CEP), and never became operational. In rare Western coverage of the subject, the noted analyst Norman Polmar said Moscow cancelled the weapon system because of its implications for the Strategic Arms Limitation Talks (SALT), but this was likely making virtue of necessity. While this example reflects the difficulties in developing an operational ASBM, it also indicates industrial-age limitations concerning vacuum tube and early transistor technology. China has mastered ballistic missile technology and enjoys better satellite capabilities in today’s information age than the Soviet Union had then. China’s extensive ASBM-related literature does not devote significant attention to Soviet efforts or suggest it played a role in inspiring later Chinese developments – an unusual instance in which Chinese analysts do not regard Russia as a model for weapons development. Rather, it was US development and deployment of the Pershing II theatre ballistic missile fitted with manoeuvring reentry vehicles (MaRVs) that helped inspire – and quite possibly furnished vital technology for – Chinese ASBM development. Deployed in 1983, the Pershing II was the first ballistic missile to be equipped with terminal guidance technology, including adjustable control fins for terminal manoeuvre on its re-entry vehicle (RV), thereby improving CEP to about 37 m. Beginning as early as 1976, Chinese experts studied the Pershing II extensively, and appear to have emulated – and perhaps directly incorporated – some of its key technologies. Dozens of Chinese articles covered the Pershing II, gradually shifting from basic overviews and translations of foreign media reports to detailed programme analyses and, finally, technical research by identified experts from Chinese government academies, with apparent application to China’s own programmes. Andrew S. Erickson, “China’s DF-21D Anti-Ship Ballistic Missile (ASBM)—Officially Revealed at 3 September Parade—Complete Open Source Research Compendium,”China Analysis from Original Sources 以第一手资料研究中国 10 September 2015. Andrew S. Erickson, “Showtime: China Reveals Two ‘Carrier-Killer’ Missiles,” The National Interest, 3 September 2015. Andrew S. Erickson, “Missile March: China Parade Projects Patriotism at Home, Aims for Awe Abroad,” China Real Time Report (中国实时报), Wall Street Journal, 3 September 2015. Andrew S. Erickson, “Academy of Military Science Researchers: ‘Why We Had to Develop the Dongfeng-26 Ballistic Missile’—Bilingual Text, Analysis & Related Links,” China Analysis from Original Sources 以第一手资料研究中国, 5 December 2015. Andrew S. Erickson, “How China Got There First: Beijing’s Unique Path to ASBM Development and Deployment,” Jamestown Foundation China Brief 13.12 (7 June 2013). 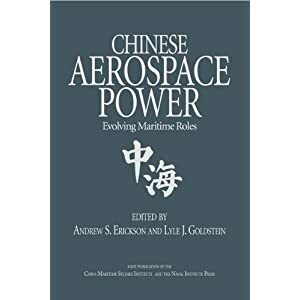 Andrew S. Erickson, Chinese Anti-Ship Ballistic Missile Development: Drivers, Trajectories, and Strategic Implications, Jamestown Occasional Paper (Washington, DC: Jamestown Foundation, May 2013). Andrew S. Erickson, “China Channels Billy Mitchell: Anti-Ship Ballistic Missile Alters Region’s Military Geography,” Jamestown Foundation China Brief 13.5 (4 March 2013). Andrew S. Erickson and Gabriel B. Collins, “China Deploys World’s First Long-Range, Land-Based ‘Carrier Killer’: DF-21D Anti-Ship Ballistic Missile (ASBM) Reaches ‘Initial Operational Capability’ (IOC),” China SignPost™ (洞察中国), No. 14 (26 December 2010). Andrew S. Erickson, “Take China’s ASBM Potential Seriously,” U.S. Naval Institute Proceedings 136.2 (February 2010), 8. Andrew S. Erickson, “Ballistic Trajectory—China Develops New Anti-Ship Missile,” China Watch, Jane’s Intelligence Review 22 (4 January 2010): 2-4. 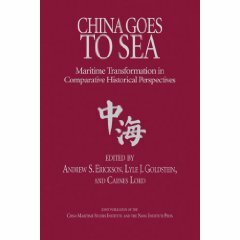 Andrew S. Erickson and David D. Yang, “Using the Land to Control the Sea? Chinese Analysts Consider the Anti-Ship Ballistic Missile,” Naval War College Review 62.4 (Autumn 2009): 53-86. Andrew S. Erickson, “Chinese ASBM Development: Knowns and Unknowns,” Jamestown China Brief 9.13 (24 June 2009): 4-8. Andrew S. Erickson and David D. Yang, “On the Verge of a Game-Changer,” U.S. Naval Institute Proceedings, 135.3 (May 2009): 26-32. Andrew S. Erickson, “China’s Anti-Ship Ballistic Missile (ASBM) Reaches Equivalent of ‘Initial Operational Capability’ (IOC)—Where It’s Going and What it Means,” China Analysis from Original Sources 以第一手资料研究中国, 12 July 2011. Andrew S. Erickson, “China Testing Anti-Ship Ballistic Missile (ASBM); U.S. 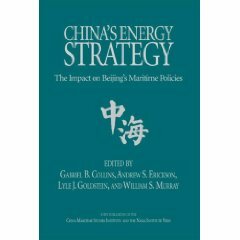 Preparing Accordingly–Now Updated With Additional Sources,” China Analysis from Original Sources 以第一手资料研究中国, 25 December 2010. Andrew S. Erickson, A Statement Before the U.S.-China Economic and Security Review Commission, “PLA Modernization in Traditional Warfare Capabilities” panel, “China’s Military Modernization and its Impact on the United States and the Asia-Pacific” hearing, Washington, DC, 29 March 2007, 72-78; published in 2007 Report to Congress of the U.S.-China Economic and Security Review Commission, 110th Congress, 1stSession, November 2007, 91. Andrew S. Erickson and Michael S. Chase, “China’s Strategic Rocket Force: Upgrading Hardware and Software (Part 2 of 2),” Jamestown China Brief 14.14 (17 July 2014). Andrew S. Erickson and Michael S. Chase, “China’s Strategic Rocket Force: Sharpening the Sword (Part 1 of 2),” Jamestown China Brief 14.13 (3 July 2014). Andrew S. Erickson and Michael S. Chase, “China Goes Ballistic,” The National Interest131 (May-June 2014): 58-64. Michael S. Chase and Andrew S. Erickson, “A Competitive Strategy with Chinese Characteristics? The Second Artillery’s Growing Conventional Forces and Missions,” in Thomas Mahnken, ed., Competitive Strategies for the 21st Century: Theory, History, and Practice (Stanford, CA: Stanford University Press, 2012), 206-18. Andrew Erickson and Gabriel B. Collins, “China’s Ballistic Missiles: A Force to be Reckoned With,” China Real Time Report (中国事实报), Wall Street Journal, 24 August 2012. Michael S. Chase and Andrew S. Erickson, “The Conventional Missile Capabilities of China’s Second Artillery Force: Cornerstone of Deterrence and Warfighting,” Asian Security, 8.2 (Summer 2012): 115-37. Christopher T. Yeaw, Andrew S. Erickson, and Michael S. Chase, “The Future of Chinese Nuclear Policy and Strategy,” in Toshi Yoshihara and James Holmes, eds.,Strategy in the Second Nuclear Age: Power, Ambition, and the Ultimate Weapon(Washington, D.C.: Georgetown University Press, 2012), 53-80. 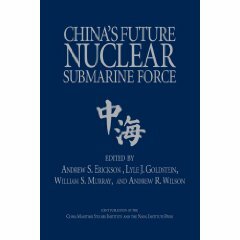 Andrew S. Erickson and Michael S. Chase, “China’s SSBN Force: Transitioning to the Next Generation,” Jamestown China Brief, Vol. 9, No. 12 (10 June 2009). Andrew S. Erickson and Michael S. Chase, “An Undersea Deterrent? China’s Emerging SSBN Force,” U.S. Naval Institute Proceedings, Vol. 135, No. 4 (June 2009), pp. 36-41. Michael S. Chase, Andrew S. Erickson, and Christopher T. Yeaw, “The Future of Chinese Deterrence Strategy,” Jamestown China Brief, Vol. 9, No. 5 (4 March 2009), pp. 6-9. Michael S. Chase, Andrew S. Erickson, and Christopher T. Yeaw, “Chinese Theater and Strategic Missile Force Modernization and its Implications for the United States,” Journal of Strategic Studies 32.1 (February 2009): 67-114.